Hating on cows is popular, largely because of misperceptions and miscalculations by groups who might take advantage of the general public’s lack of knowledge about science. 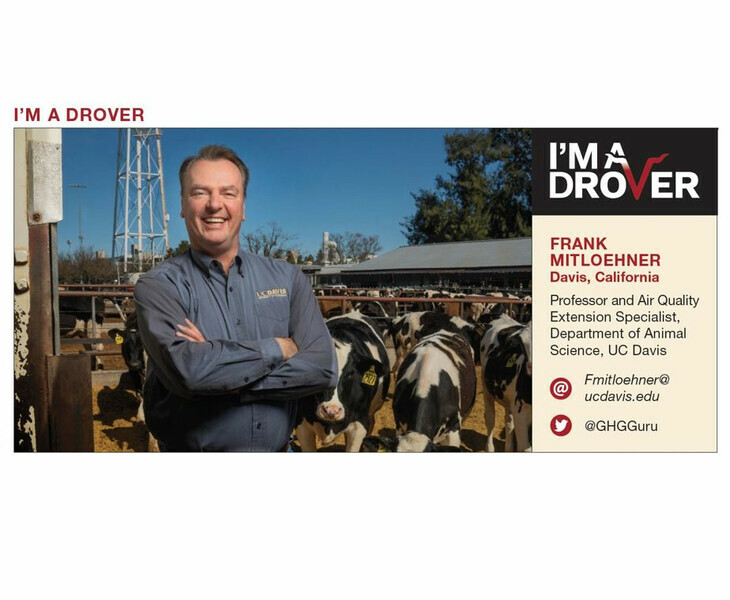 Often stepping into the fray to set the record straight is Frank Mitloehner, professor and air quality expert from University of California, Davis, also known as @GHGGuru on Twitter, where you can find links to many of his challenges to anti-cow propaganda. But, Mitloehner emphasizes, he’s not your advocate. Specifically, Mitloehner is a professor and air quality Extension specialist in the department of animal science at UC Davis. But his path to an American land-grant university was unique. He grew up in West Germany, and when the Berlin Wall came down in 1989, he was among the first to go east for his education, to the University of Leipzig, Germany, where he earned a master’s degree in agricultural engineering and animal science in 1996. He followed that with graduate studies in animal science at the University of Goettingen, Germany. Finally, Mitloehner earned his doctorate in animal science at Texas Tech University in 2000. Soon thereafter he applied for, and was offered, what he calls a job that was a perfect match for his education and interests at UC Davis. Such research is critically important for the livestock industries and the public, but it has also given Mitloehner the scientific authority to challenge some of the most egregious claims against livestock production—and quite successfully, too. Pierre Gerber, a policy officer with the FAO and co-author of the report, acknowledged Mitloehner’s criticism. “I must say honestly that he has a point—we factored in everything for meat emissions, and we didn’t do the same thing with transport,” he said. More recently, Mitloehner challenged a report called EAT-Lancet that proposed “healthy diets from sustainable food systems.” Many experts called the EAT-Lancet data on the impact of livestock production on the environment flawed. Mitloehner says the report assumed most land used for agriculture could be converted to cropland. In reality, 70% of agricultural land is marginal, meaning it is unsuitable for crops. Grazing animals can still make use of this land. “If we were to forego meat by reducing our animal-based foods by 90%, we would lose the use of the vast majority of agricultural land for food production. That is taking things in the wrong direction,” he says.